The unique entitlement into the Medicare program for persons with End-Stage Renal Disease (“ESRD”) causes dialysis providers to attempt to amass extraordinary profits on self-funded health plans before Medicare becomes the primary payer. The provider community has stated that Medicare payment rates are not sufficient to cover their average cost of providing a dialysis treatment, and as a result they seek to offset this loss by charging self-funded health plans rates as high as 3,020% of the Medicare allowable amount. Our clients faced average monthly charges of $88,000 prior to implementing our program. Plans looking for a solution to this expensive problem must ensure that they are in legal compliance with the Medicare Secondary Payer Act (“MSPA”) and the non-discrimination prohibitions of the Americans with Disabilities Act (“ADA”) and HIPAA. Any strategy that differentiates the amount of reimbursement based upon whether or not a person has ESRD or Medicare will violate the MSPA. Therefore, Plans simply cannot pay the provider’s charged rate for member not yet entitled to Medicare, and a lower rate for members with Medicare. The penalties are significant. Plans also cannot simply pay some arbitrarily low rate and not run afowl of the non-discrimination prohibitions of the ADA and HIPAA. 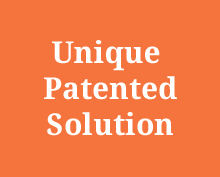 Our unique program, patented in 2013 by the United States Patent and Trademark Office, is compliant with the MSPA, ADA, and HIPAA. It entails an administratively simple modification of the plan document establishing two new benefit instruments that in combination enable plans to reduce their dialysis costs by up to 80%. Plan members are better off under our program than beforehand, and Medicare will never pay more under our program and in certain instances will actually pay less. Since our inception, we have successfully defended over a thousand provider appeals. No client has ever paid additional amounts to a dialysis provider appealing our methodology.